These folks are absolutely doing it right. 1. The person who made a replacement for their missing fire extinguisher. 2. The person who will never be late again. 3. The mechanic whose vision was more than just a pipe dream. 4. The person who really needed to make a phone call, but was short a phone. "Hello, God? It's me, Erin." 5. The careful driver who won't let a broken headlight ruin her night vision. 6. The driver who solved that pesky missing window issue for good. With something that might be cookie dough? 7. Or this other driver who WAS missing a door, until one proved itself worthy. 8. The sudoku teacher who discovered a GREAT pointer. 9. This wizard who fixed time! Yo, boo, what's your number? I have an emergency. 11. The person who made their land line WORK. 12. 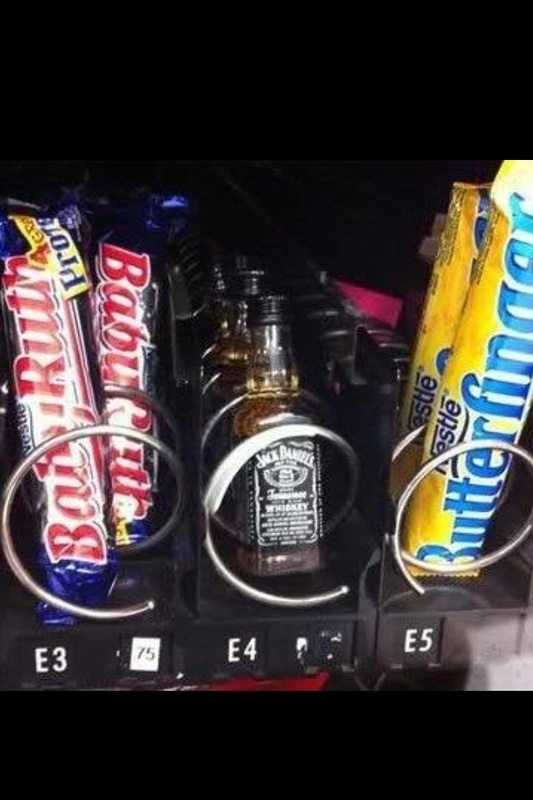 The wonderful person who found something to fill E4. 13. The driver who just got this awesome new bumper. 14. The driver who's looking out for his exhaust pipe. 15. The BBQ master who really needed to grill something in a pinch. 16. The wisest commuter of all time. 17. The person who broke this plate, but you'd never know it! 18. The guy who crafted this DIY pill box. 19. The hard worker who solved the problem of where to sit. 20. The citizens who duct taped this street back together. 22. The person who will never, ever be the victim of crime. 23. The homeowner who turned their fence into something electric. 24. The person who realized how to afford a Ferrari. 25. The art enthusiast who helped this poor deer with his googly vision. 26. The driver who won't leave home without a side mirror. 27. The person who totally fixed this snow covered sign. 28. And the driver who needs to flip on his brakes.